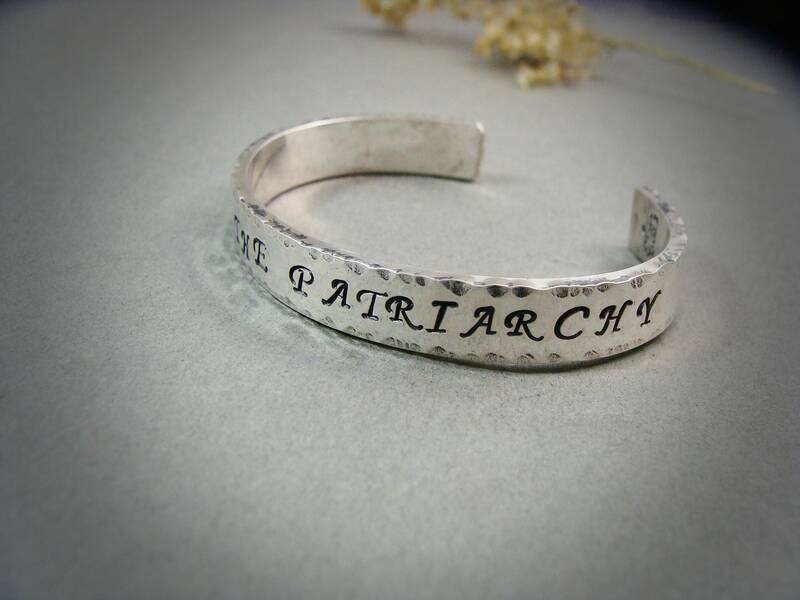 Wear your displeasure with this current state of affairs on your wrist. 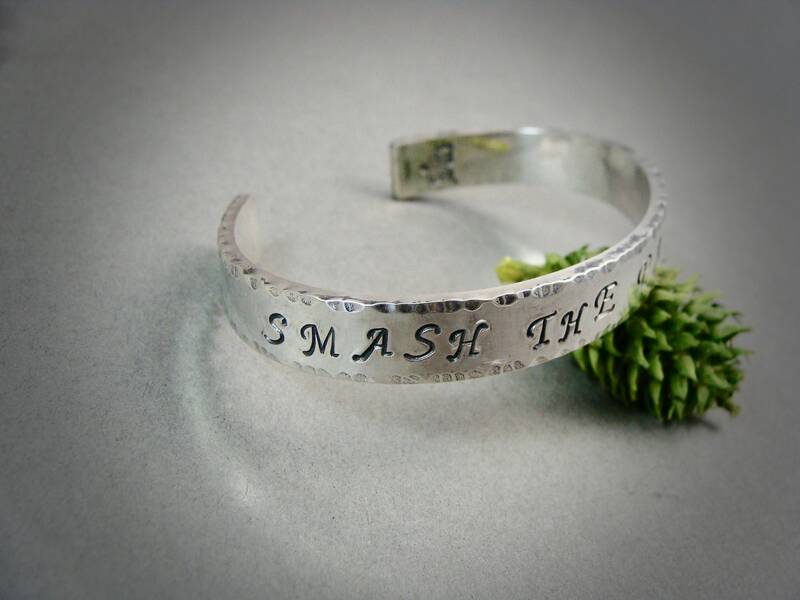 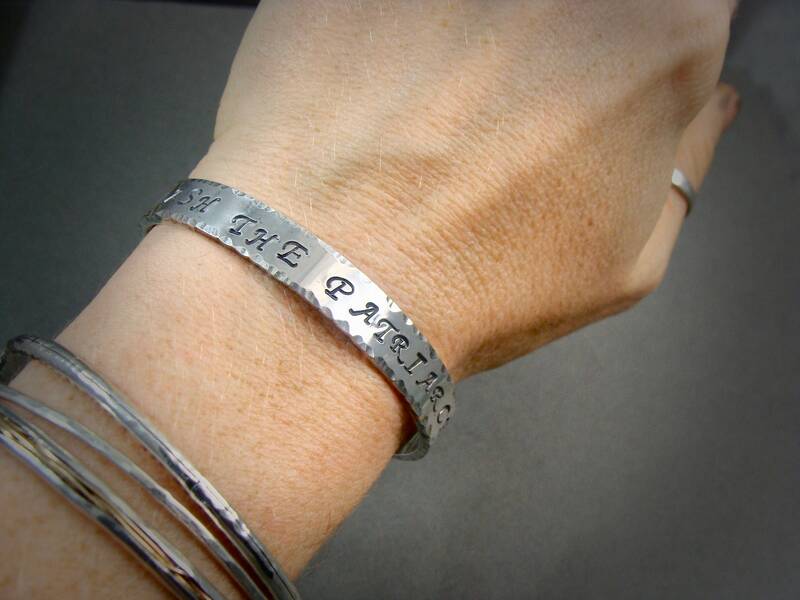 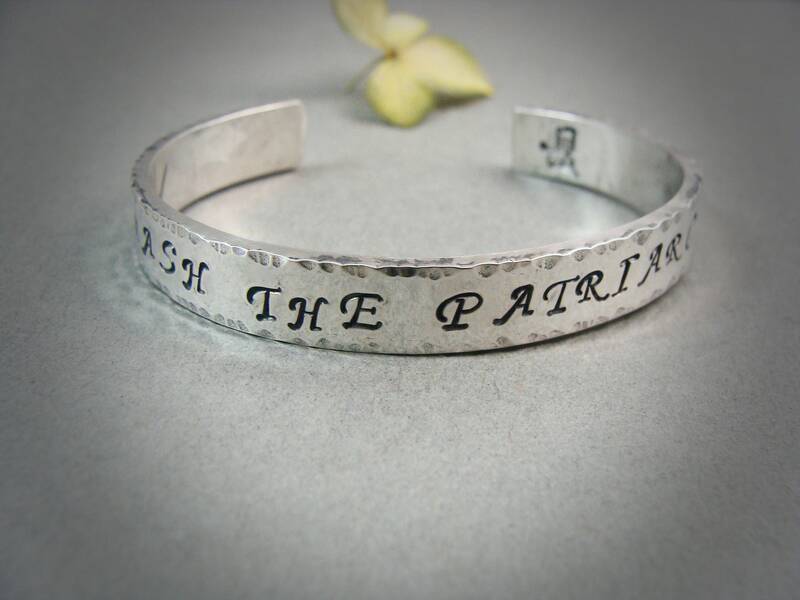 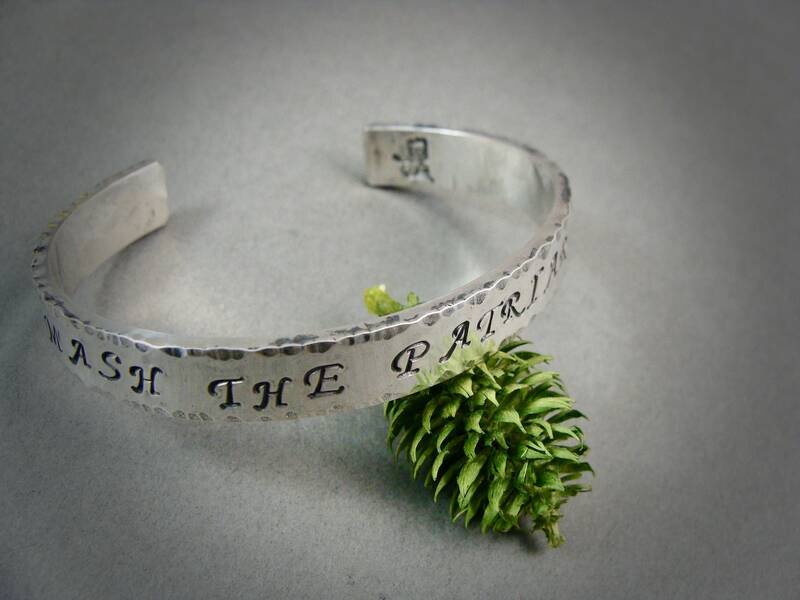 This solid sterling cuff has been hand stamped with the phrase "SMASH THE PATRIARCHY". 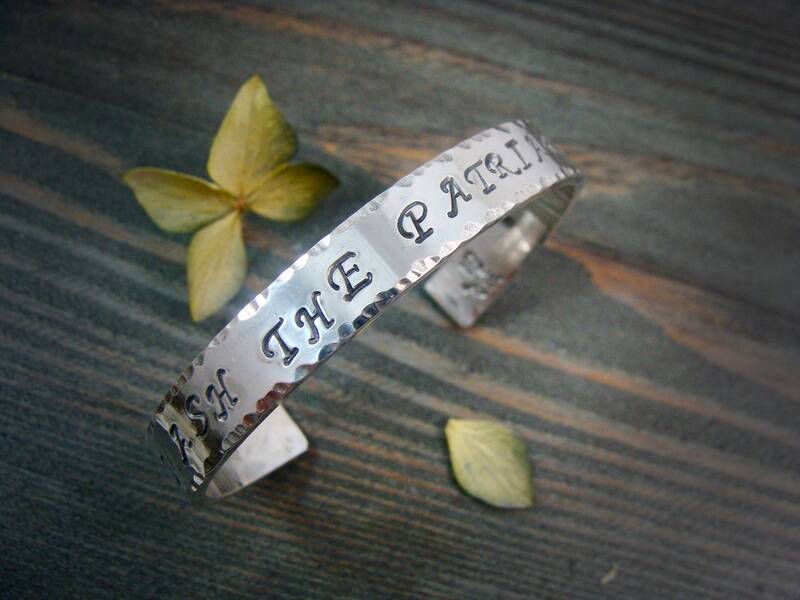 The sides of this thick sterling cuff have been textured to catch light and reflect it's bad-assness. 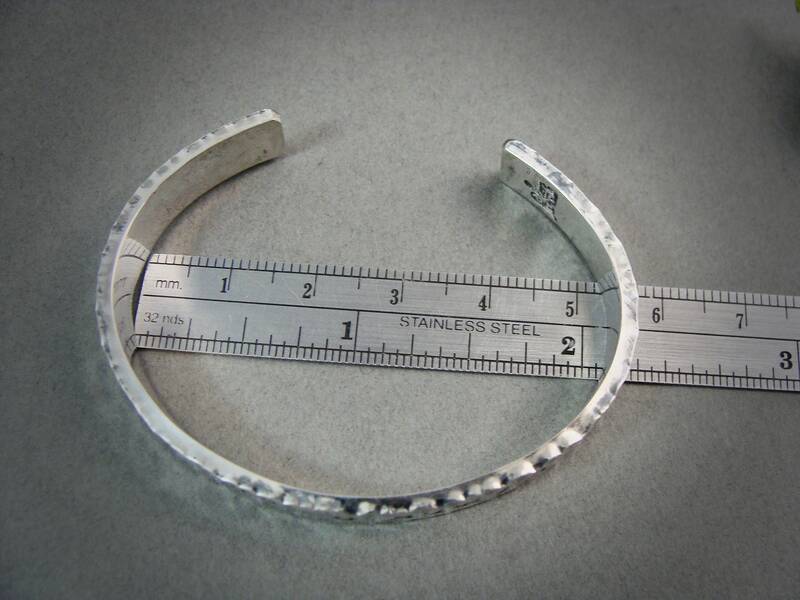 Size~ 9mm wide, 2mm thick, 5 3/4" in length. 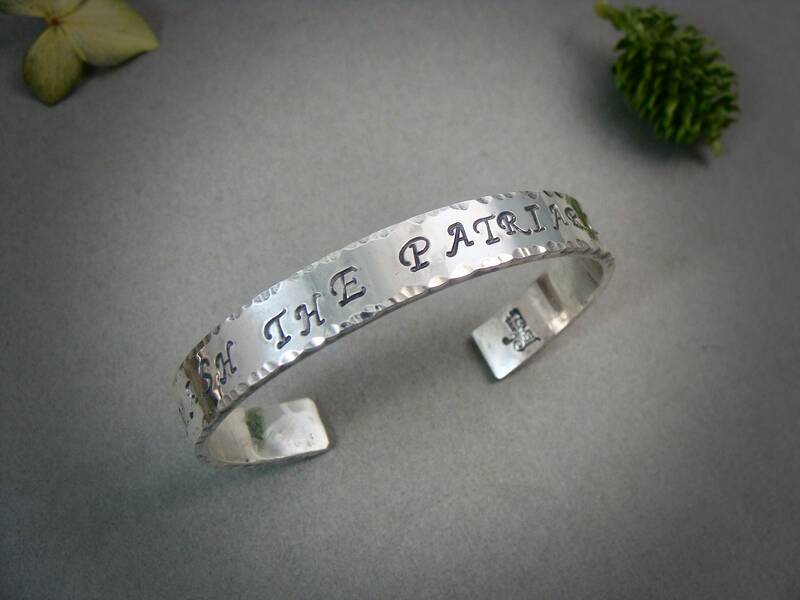 This cuff is a size small and will comfortably fit a wrist that is about 6 - 5 3/4"